Address 216 E. Water St. Description Ohio’s Lake Erie Shores and Islands is the Midwest’s favorite getaway. This coastal destination boasts 152 miles of shoreline, the best fishing on the Great Lakes, welcoming communities, rich history, wine trail, and an abundance of family-friendly attractions. World-famous Cedar Point Amusement Park and Kalahari Resorts & Conventions call it home, along with indoor and outdoor water parks, animal parks, play centers, and more. Visitors enjoy ferries and cruises to South Bass Island (Put-in-Bay), Middle Bass Island, and Kelleys Island. One of America's best areas for spring and fall bird migration, the area is overflowing with natural beauty and opportunities for outdoor recreation. 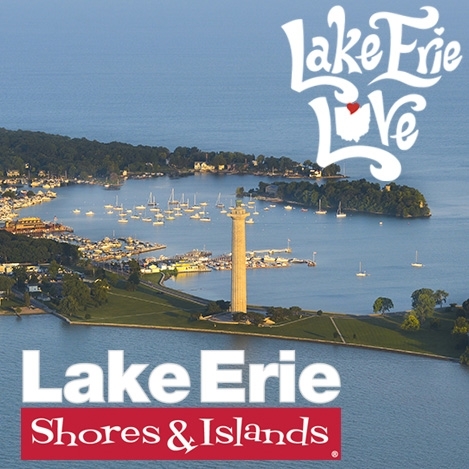 Add Lake Erie Shores and Islands to your free online travel itinerary.